Veteran Ironman Adrian Mok's running tips | JustRunLah! 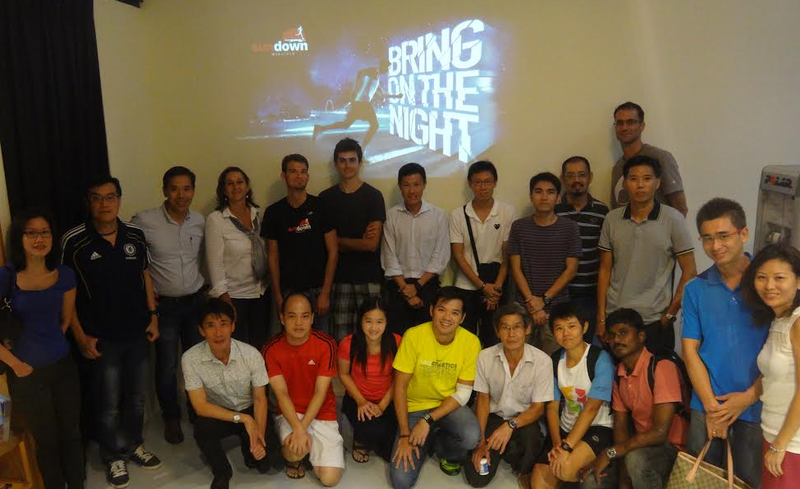 Adrian Mok, a former national triathlete and endurance athlete, recently gave a talk to runners – in the lead up to the Sundown Marathon. 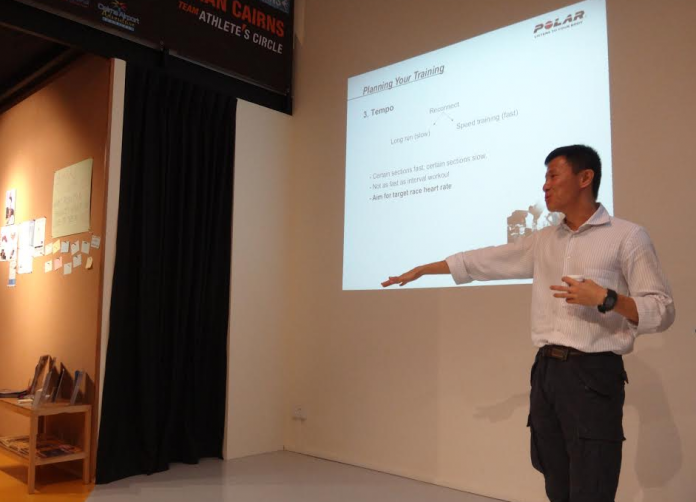 Adrian, the founder of HiVelocity and the brains behind the Sundown Marathon, shared with runners, how to interpret the data on their heart rate monitors and also gave running tips in other areas, such as building running mileage and tapering for a marathon. Here are some of the highlights of the talk. Monitoring your heart rates through the heart rate monitor will help you to understand your own limitations, according to Adrian. This will prevent you from pushing yourself beyond your capacity – which may even result in heart failure. Endurance athletes can collapse and die because of this. So by using heart rate monitors, you will be better equipped to decide when to push harder and when to slow down – to give your heart a break. And training with a heart rate monitor is all about working in the different heart rate zones. With Adrian Mok after the talk. There are five zones, according to the intensity that your heart is working at. Zone 1 is for activities done at 50 to 60 per cent of the maximum heart rate (MHR) such as strolling or walking. Zone 5 is for activities done at 90 to 100 per cent of the MHR. This zone is generally used by elite athletes to push themselves towards victory at the end of a race generally. Here, your heart is working at almost its maximum capacity. According to Adrian, to train for a marathon such as Sundown Marathon, you should only build mileage up to 30 or 32 kilometres. If you try and run further, you are putting yourself at a higher risk of injury as the body may not be able to cope with the demands. Adrian also said that before the marathon, your longest run should be roughly three weeks before race day. 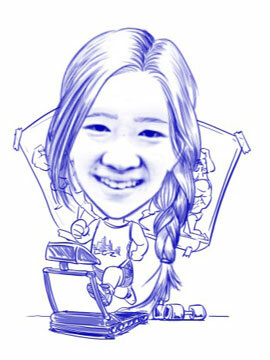 After that you should start tapering. But tapering does not mean to take it easy. You need to maintain the intensity of your training, but just try and cut down on the volume of your training sessions. 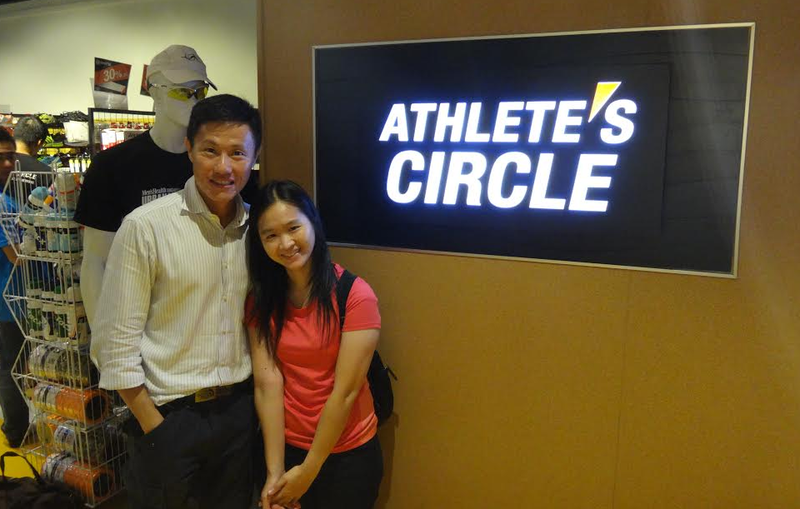 Click here to read more tips on heart rate measurement and running tips from Adrian Mok. Click here for more post from PrisChew.